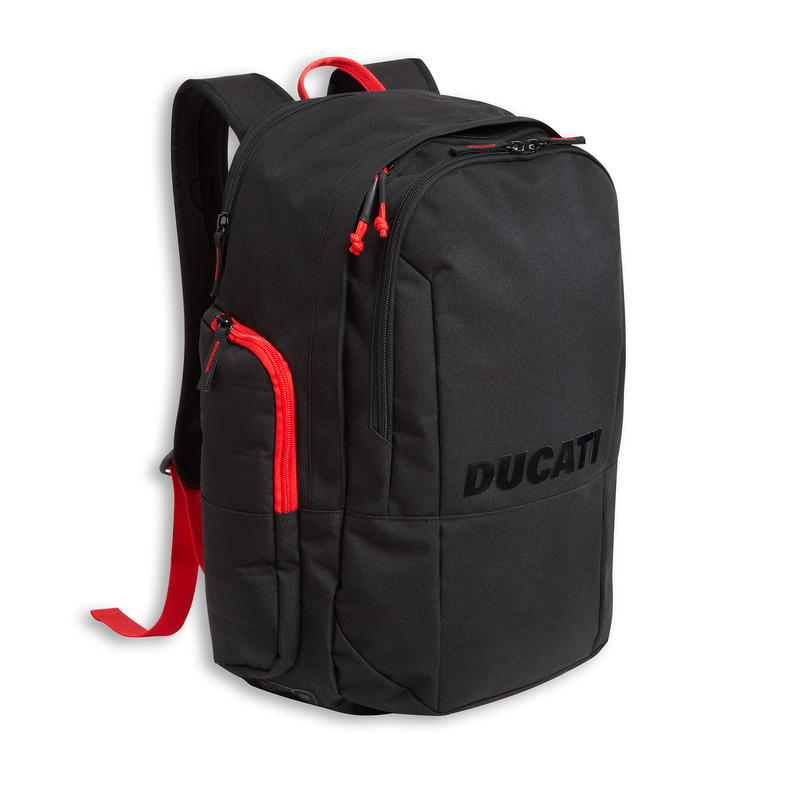 Redline B2 is a linear and functional knapsack made by Ogio exclusively for Ducati. The outer pockets are organized with various partitions, like the main compartment that also contains a padded pocket for laptops measuring up to 15 inches. 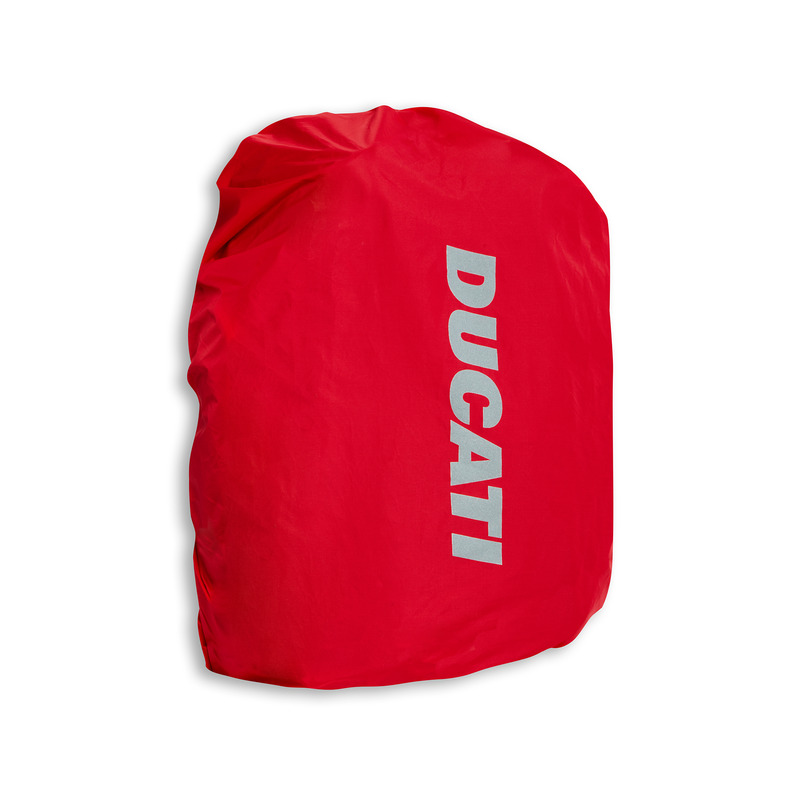 The exterior features adjustable straps with clasp at chest height, back with ventilated 3D mesh insert, and a waterproof cover that can be used when needed. 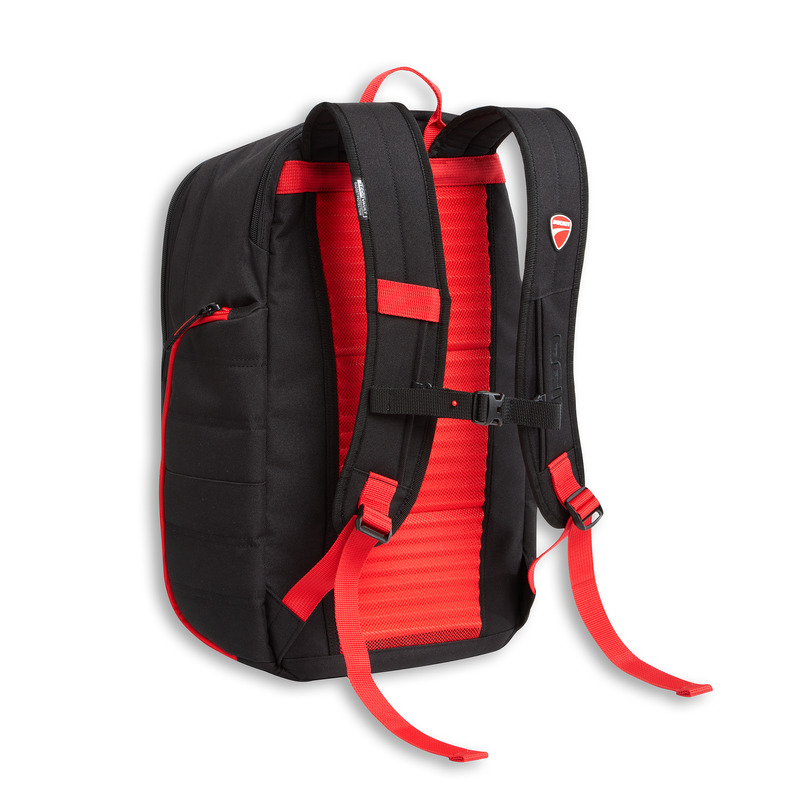 The Redline B2 knapsack is a very useful accessory both on and off the motorcycle. Back in 3D mesh to increase ventilation and comfort.